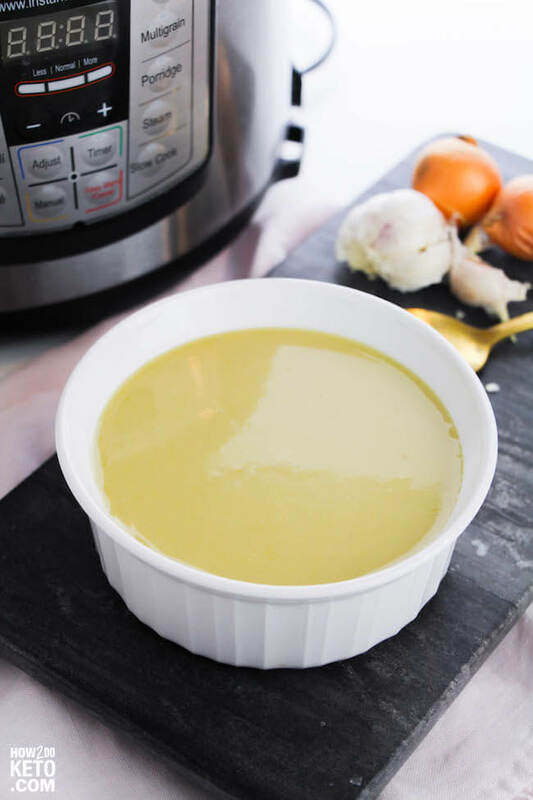 A rich and creamy comfort food that the whole family will love – this Keto Instant Pot Asparagus Soup is ready in less than 30 minutes and packed with nutrients! 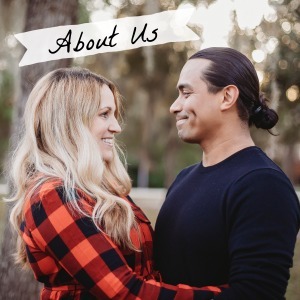 One of the things other parents tell me is most challenging about eating keto (or any type of diet) is that they worry about what they can feed the rest of the family. In our house, we only prepare one dinner, so we look for options that everyone will enjoy taste-wise and that meet all of our needs. You don’t have to become a short-order cook to be successful with Keto! Believe it or not, asparagus is one of the vegetables that both of our older girls like. That’s why this Keto Asparagus Soup is perfect for a family meal. It may be Keto (so it keeps mom and dad happy), but it provides so many wonderful nutrients for the kids. We grown-ups enjoy the soup as-is, and make a pot of rice to serve with the soup for our kids. It’s an easy, comforting meal that keeps everyone happy! Win-win! Related: For another meal that’s a hit with the whole family, try our Keto Copycat KFC Chicken Tenders! 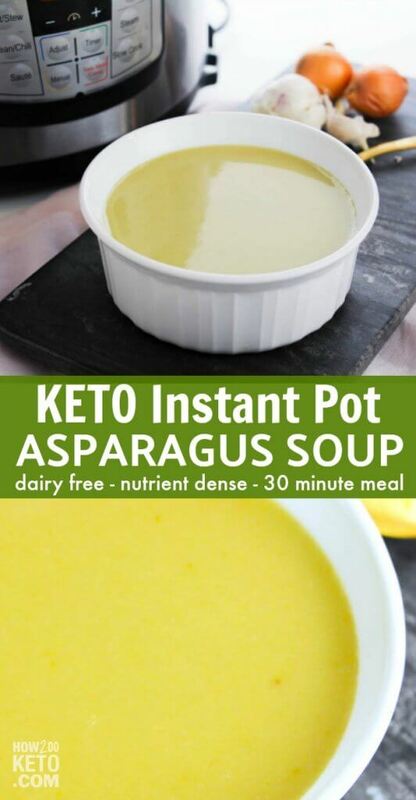 For your convenience in re-creating our Keto Asparagus Soup at home, we’ve included shop-able ad links to some of the products and supplies used. Read our disclosure policy here. 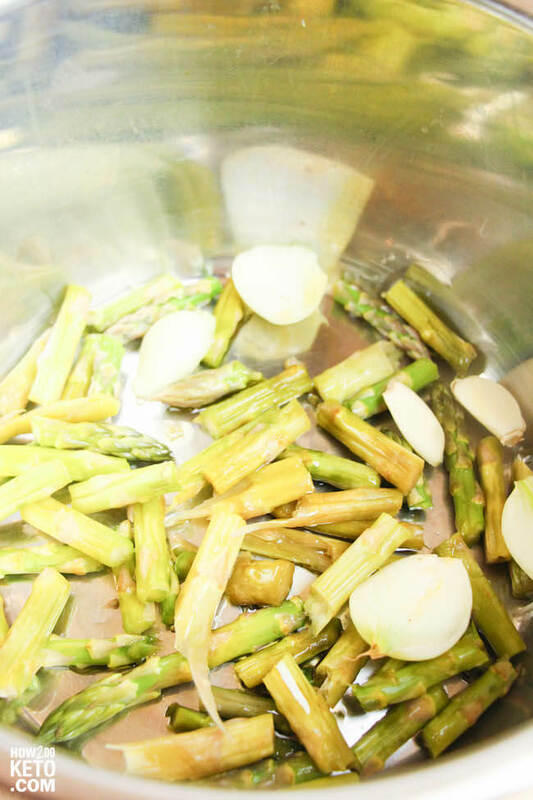 The above is a quick glance at the ingredients and tools needed to make this Instant Pot Asparagus Soup recipe. Full ingredient amounts are available in the printable recipe at the bottom of the post. 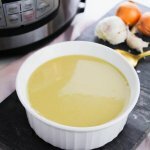 For extra flavor, try making your asparagus soup with our Instant Pot Chicken Bone Broth! 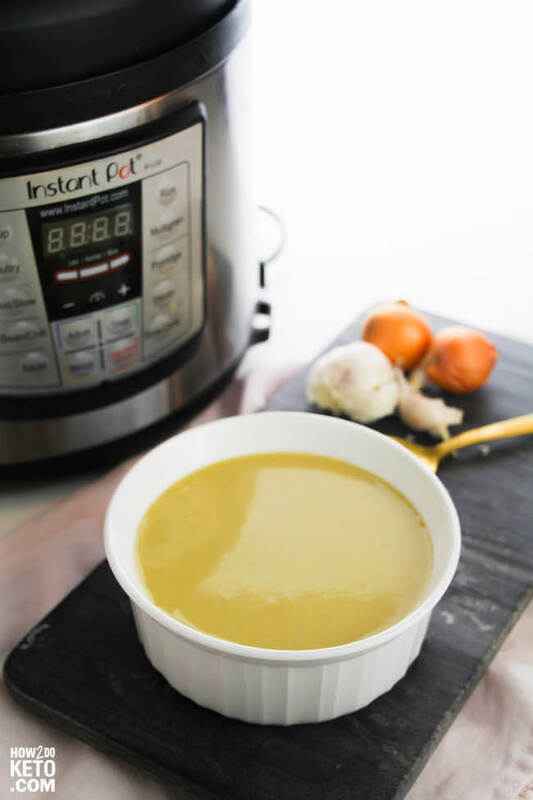 Use caution when transferring your soup from the Instant Pot to your blender, as it will be hot. 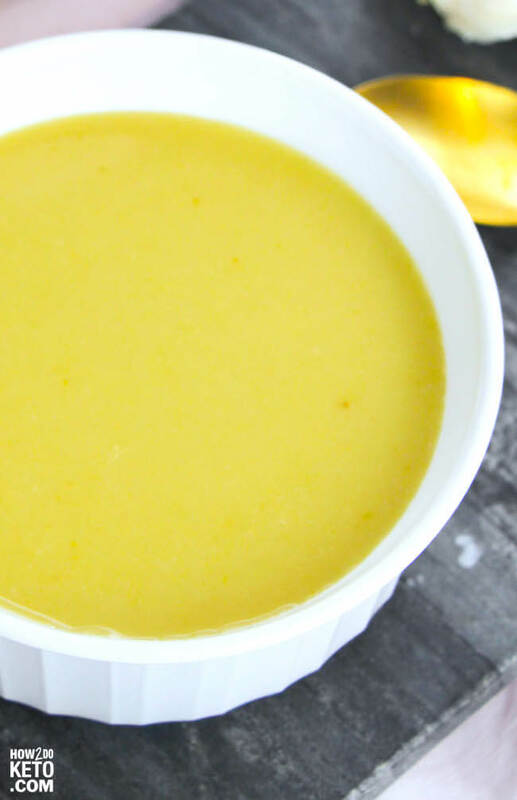 A rich and creamy comfort food that the whole family will love - this Keto Instant Pot Asparagus Soup is ready in less than 30 minutes and packed with nutrients! Wash, peel, and chop vegetables. 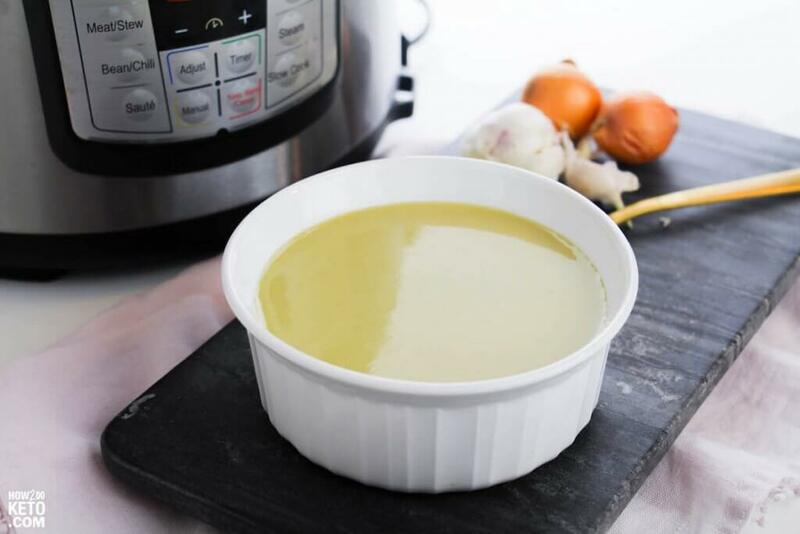 Set your Instant Pot to sauté and add your oil. When the oil is hot, add your vegetables and sauté for about 2 minutes. Turn off the sauté setting and add the remaining ingredients. Stir to get any pieces of garlic, onion or asparagus that may be stuck on the bottom, and then secure the lid. Set the Instant Pot to the Soup/Stew setting for 15 minutes. 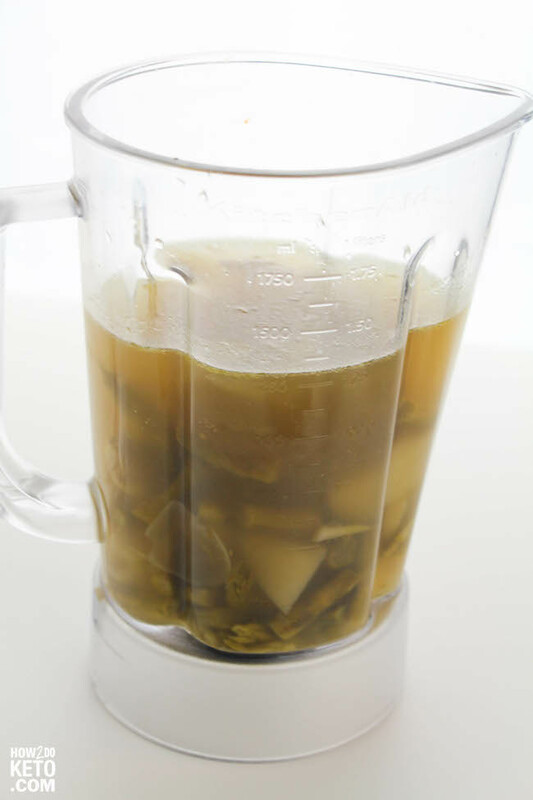 Remove the bay leaf and carefully transfer the soup mixture to a good quality blender to puree. Taste and adjust salt and pepper to your preference before serving.